Britain's Rolls-Royce said it was selected by Airbus to provide Trent 700 engines and long-term maintenance services for five new Beluga XL transporter aircraft, in a deal worth $700 million. Beluga aircraft had in the past been powered by engines made by Rolls-Royce's rival General Electric. The announcement strikes a more positive tone for Rolls-Royce, which is under pressure after issuing a string of profit warnings - the most recent of which was blamed on difficulties in its main aero engines business. The federal investigation that led to the ouster of United Continental Holdings Inc. Chief Executive Jeff Smisek spotlights the often thorny relationship between airlines and airport authorities that, while little-noticed by fliers, is critical to how carriers run their businesses. Mr. Smisek’s abrupt departure, along with that of two other senior United executives, flowed from a federal probe into the airline’s relationship with David Samson, former chairman of the Port Authority of New York and New Jersey, which runs New York’s three main airports. Airlines routinely negotiate with the entities that operate U.S. airports, seeking lower fees, improved access to terminals, and upgrades to facilities. Lease negotiations with airports can be hard-fought, but airlines often have more leverage in their negotiations with other cities than they do in New York—and aren’t shy about using it, industry experts say. 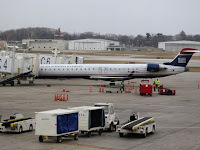 Delta Air Lines Inc., for example, three years ago approached the Metropolitan Airports Commission, which runs the Minneapolis Airport, pressing it for a share of the revenue the airport gets from gift shops and other concessions, says Jeffrey Hamiel, the commission’s CEO. After two years of negotiations, the parties revamped Delta’s existing lease to give it a share of additional concession revenues if the airline—the airport’s largest tenant—brought in more passengers. A Delta spokesman declined to comment. Relations between airlines and airports are especially tough in New York, given the Port Authority’s control of all three main airports: Newark Liberty International, John F. Kennedy International and La Guardia. For United and its big rivals, those airports serve not only as access points to the biggest U.S. market for air travel, but also as gateways for lucrative trans-Atlantic routes. United, formed by the 2010 merger with Continental Airlines, has been pressing the Port Authority for years for better terms at Newark. The airport handled almost 400,000 flights and 35.6 million passengers last year, and United is by far the largest carrier, controlling nearly two-thirds of the departing seats from Newark this month, according to flight-data company Innovata LLC. Discussions with the Port Authority intensified during Mr. Samson’s tenure. United’s main complaint was the fees it paid at Newark, though the carrier also has pushed the authority on projects such as an improved rail link from Newark to New York City and better maintenance facilities, according to government officials, people familiar with the airline’s discussions, and filings from United and the authority in a dispute before the Federal Aviation Administration. United says the Port Authority fees for using Newark are by far the highest in the nation, 59% higher than at Chicago’s O’Hare International Airport and 75% higher than at JFK. United has argued that the fees are inflated because of profligate spending at the Port Authority. It points to a costly labor agreement between the Port Authority and the authority’s police department, and the authority’s use of funding to pay for repairs to the Pulaski Skyway, a New Jersey highway that the authority doesn’t own. That diversion of funds is the subject of a criminal inquiry by Manhattan District Attorney Cy Vance, according to people familiar with the case. The Port Authority has responded that United’s fees at Newark are set by the same formula used for other airlines, and that they are commensurate with the cost of maintaining and operating the assets of the airport and other needs of the authority that keeps the region’s airports running. Prosecutors from the office of U.S. Attorney Paul Fishman have been seeking information on United’s negotiations with the Port Authority during Mr. Samson’s tenure, according to people who have seen the subpoenas. Among the prosecutors’ areas of inquiry is whether Mr. Samson, who was appointed in 2011, asked United for a special weekly flight to Columbia, S.C., near his vacation home, during the negotiations. Tuesday’s executive exits from United were a surprise to federal authorities pursuing the investigation, who weren’t aware of any action on the Samson probe in recent weeks that would have triggered the shake-up, a person familiar with the matter said on Wednesday. United has said only that the three executives stepped down as the result of an internal company investigation that was prompted by subpoenas in the federal probe. Another person familiar with the situation said on Tuesday that Mr. Smisek’s departure was strictly related to what the company found in its probe, and wasn’t driven by board concerns about Mr. Smisek’s overall management performance. United started that flight in September 2012, and canceled it March 2014, days after Mr. Samson resigned from his position. The flights to and from Columbia, which offered 350 seats each way per month, were typically 60% full in 2013 and just under 39% full last year, according to figures from Innovata and the Transportation Department. That’s well below the typical load rate on U.S. domestic flights today, which is above 80% nationwide. Airlines frequently add new flights, and airport authorities often offer financial incentives such as reduced landing fees to encourage them. Carriers normally do economic studies beforehand to handicap whether the flights will make money, but sometimes will start new flights to “be good citizens” and try to please the states where they operate, said aviation consultant Michael Boyd of Boyd Group International. “There’s nothing wrong with that,” he said. However, if the Columbia flight was a quid pro quo involving Mr. Samson personally, “that certainly would be unethical,” Mr. Boyd said. Mr. Samson hasn’t commented on the Columbia flight. A United spokeswoman declined to comment. Michael E. Levine, law professor at New York University, said relations between airlines and airports have long been tense in New York because of the Port Authority’s clout. In other big cities, different airports are often controlled by separate entities: San Francisco International, for example, competes with airports in Oakland and San Jose. “The Port Authority has been shameless over the years about using its monopoly,” said Mr. Levine. The Port Authority didn’t respond to a request for comment. With Newark, people familiar with the matter say United’s negotiations with the Port Authority also were caught up in a split within the agency, which is jointly controlled by the New Jersey and New York governors. Mr. Samson, an ally and appointee of New Jersey Gov. Chris Christie, wanted to strike a deal with United, the people said, while New York officials didn’t want to cut the airline a break. One thing the Port Authority doesn’t control is who gets to fly to and from New York. The FAA controls the number and allocation of takeoff and landing slots at the city’s three main airports. The only other airport where the FAA does that is Reagan National airport near Washington, D.C.
—Rebecca Davis O’Brien and Jack Nicas contributed to this article. Families of the 11 victims of the Shoreham air crash in August are furious that police have yet to formally interview the pilot of the stricken plane, Andy Hill, weeks after he left hospital. Sussex Police say they are hoping to interview Hill as soon as possible. It is thought Hill, 51, who was placed in an induced coma following the crash, has recovered from any physical injuries he may have suffered, but friends said it was possible he was not yet ready psychologically. Photographs of Mr Hill appear to show a gaunt and haunted figure. His whereabouts have not been published. 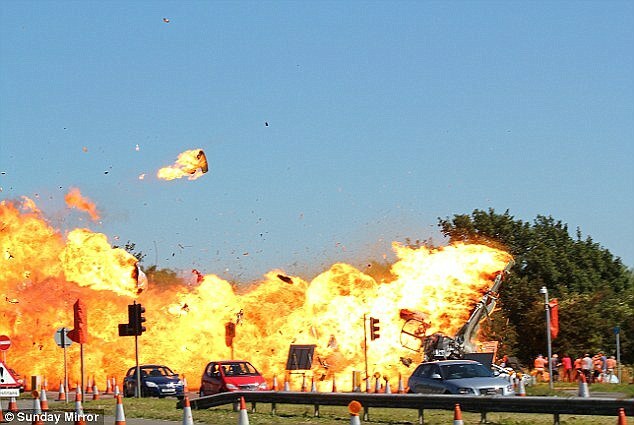 Hill was attempting to perform a loop-the-loop in his Hawker Hunter jet at the air show on 22 August but slammed into traffic on the nearby busy A27, bursting into a dramatic fireball captured on video and killing 11 people. It is unclear if Hill used his ejector seat to escape the crash. An interim investigation by the Air Accidents Investigation Branch (AAIB) found there were "no abnormal indications" of mechanical fault in the build-up to the crash. However, it appeared Hill started his manouevre at 200 feet rather than the 500 feet minimum for which he was licensed by the Civil Aviation Authority. Among the victims was Mark Tussler, 54, who was riding a motorbike and wanted to see a Vulcan bomber which was also part of the display. His fiance Giovanna Chirico told the BBC: "It's just that frustration at how long it's taking to get information or statement from the pilot. It doesn't make it easier for us families who just want the answers as to why our loved ones are not here any more." However Det Ch Insp Paul Rymarz said the families had been informed why Hill had not yet been interviewed. "The interview of the pilot forms an integral part of the police investigation, but at this time his fitness for interview has not been confirmed. Additionally, we are still in an evidence-gathering stage, with appropriate expert assistance, as we need to fully understand every element of what is a very complex subject in order to gain maximum benefit from that interview." 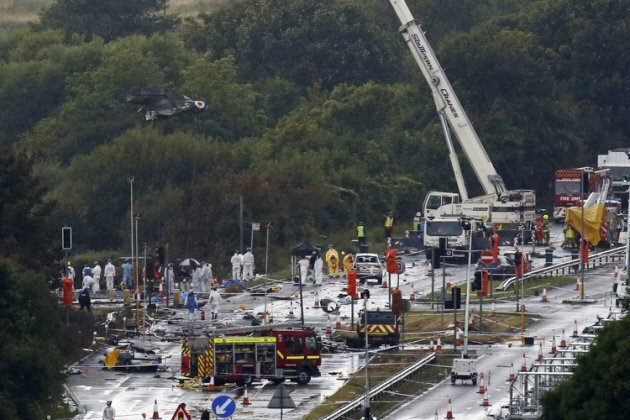 The pilot of the vintage jet that crashed at the Shoreham airshow, killing 11 people, is to be questioned by police and investigators. 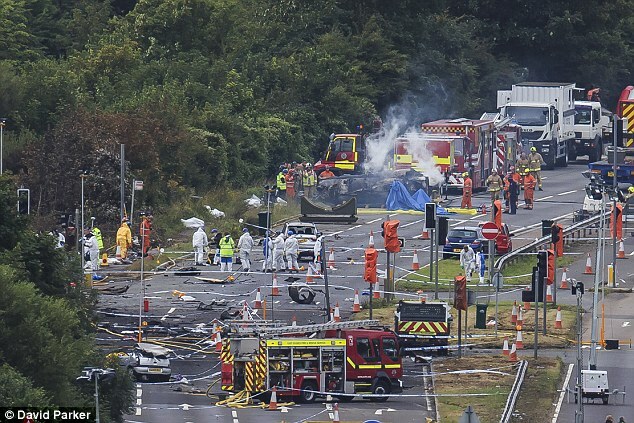 Andy Hill, 51, a former RAF instructor and British Airways captain, was flying a 1950s Hawker Hunter when it failed to pull out of a loop-the-loop maneuver and crashed on to the A27 in West Sussex and burst into a ball of flames. Hill was placed in a medically-induced coma in the immediate aftermath of the incident, but has reportedly been released from an undisclosed specialist hospital. An interim AAIB report published on Friday said two cockpit video cameras had been recovered, giving a partial view of the pilot and the instrument panel, which appeared to show that the aircraft was working normally. Coroner Penny Schofield opened and adjourned an inquest into the deaths of the 11 people last week. The victims were: wedding chauffeur Maurice Abrahams 76, from Brighton; retired engineer James Graham Mallinson, 72, from Newick, near Lewes; window cleaner and builder Mark Trussler, 54, from Worthing; cycling friends Dylan Archer, 42, from Brighton, and Richard Smith, 26, from Hove; NHS manager Tony Brightwell, 53, from Hove; grandfather Mark Reeves, 53, from Seaford; Worthing United footballers Matthew Grimstone and Jacob Schilt, both 23; personal trainer Matt Jones, 24; and Daniele Polito, 23, from Worthing. 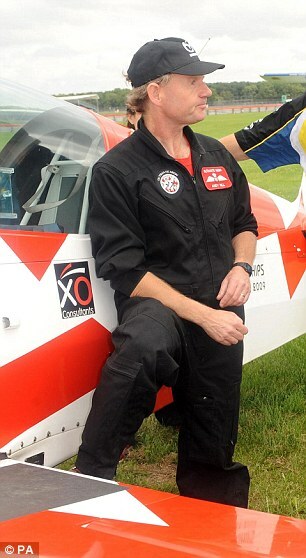 Hill works as an aerobatic stunt pilot and is part of the the RV8tors flying duo, which performs close formation aerobatic displays at speeds of up to 230mph. Hill and his fellow display pilot Alister Kay perform at events, private functions and weddings in RV-8 aircraft – small two-seat, home-built planes. He also works as a pilot offering flight experiences to the public for the company Ultimate High, according to its website. 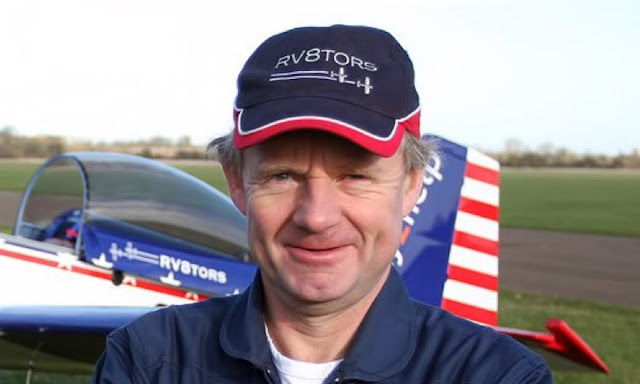 He has years of flying experience, having worked as a light aircraft test pilot, an RAF Harrier GR7 instructor, a commercial pilot captaining Airbus planes and a stunt and aerobatic display pilot. According to Ultimate High, he began his career flying Bulldogs in a university air squadron and, after excelling in fast-jet training, he was picked to go straight into instructing on the BAC Jet Provost, a jet-powered trainer aircraft used by the RAF. He then operated the Harrier GR5 and GR7 jets in Germany and has flown Airbus A340 and Boeing 757 and 767 airliners. The AAIB was notified of the accident at 1235 hrs on Saturday 22 August 2015 and immediately initiated a Field Investigation. The aircraft was taking part in an air display at Shoreham Airport during which it conducted a manoeuvre with both a vertical and rolling component, at the apex of which it was inverted. Following the subsequent descent, the aircraft did not achieve level flight before it struck the westbound carriageway of the A27. Boeing Co. said Wednesday that it is planning to raise monthly production of its 767 widebody jet to 2.5 in late 2017 to accommodate a previously announced 50-plane order from FedEx Corp. The plane maker currently builds around 1.5 of the jets each month and had already outlined plans to boost this to two early next year. It will now raise output further to 2.5 in the fourth quarter of 2017. Boeing’s Everett, Wash., assembly line has built passenger and freighter versions of the 767 since 1981, and is gearing up to begin regular production of a heavily modified version to serve as a refueling tanker for the U.S. Air Force, which plans to buy as many as 179 aircraft. “The 767 has a very healthy backlog through the mid part of the next decade,“ Brad Zaback, vice president and general manager of the 767 program said. ”We are confident the market will support a long-term future for the 767." Despite troubling signs for regional economic growth and receding air cargo traffic, FedEx in July announced a deal for 50 of the freighter variants and holds options to purchase 50 more. Mr. Zaback said in an internal company memo that he expects the 767, the company’s longest-running large twin-jet program, to add employees as its production tempo increases. “Increasing the production rate in 2017 provides the flexibility needed to address additional commercial orders while meeting all of our customer requirements,” said a Boeing spokesman. Privatization — or at least some kind of public-private partnership — is being discussed as a possible way for the Des Moines International Airport to pay for a new terminal. Pitchmen from the consulting firm LPMG Corporate Finance visited the Des Moines Airport Authority Board on Tuesday to explain options for forming a public-private partnership. Airport officials are open to the idea. “I think there are enough potential benefits to keep researching it,” said Kevin Foley, executive director of the Des Moines International Airport. Such an agreement could take several shapes, said Tim Wilschetz, a principal with KPMG. Options range from full privatization, in which a private company owns and operates the terminal and airfield, to a partnership in which a private company builds the terminal and sells it to the airport. In Des Moines, one option is for a private company to build and own the new terminal and lease it back to the airport, Foley said. That could save about 20 percent on construction, according to KPMG. A private company could finance the project quicker and start construction sooner, which would save money by limiting the impact of rising construction costs, the consultants said. “If there is that kind of savings, then we need to take a look at it,” Foley said. David Fisher, a retired corporate executive hired by the airport to find funding for the terminal, agreed. “I think it is worth exploring and I think there could be tremendous savings,” he said. Des Moines Mayor Frank Cownie and City Council member Christine Hensley, whose ward includes the airport, said the airport should research options to find savings. Airport officials say the 67-year-old terminal is too small, becoming costly to maintain and isn’t configured for modern security and passenger needs. Airport traffic hit a record 2.3 million passengers in 2014 and it is projected to continue growing. Plans call for building a larger, 14-gate terminal on the south side of the airfield and reconfiguring other facilities. The project is estimated to cost $420 million, with more than $300 million going into the terminal. Construction is scheduled to begin in 2022. The airport is still about $200 million short for the project. Foley is skeptical of privatizing the operation of the terminal — “We already run a pretty lean operation” — and said he would recommend against privatizing the construction or operation of facilities outside the terminal such as parking garages, which generate a profit for the airport, and runway systems, which are largely funded by federal dollars. “I would struggle to surrender any part of the airfield,” he said. A number of airports in Europe and South America have been turned over to private operators, but the trend has been slow to catch on in the United States. The Federal Aviation Administration launched an airport privatization program in 1997. Ten airports have started the process, but only the airport in San Juan, Puerto Rico, has become privately operated. Union groups protested the privatization of that airport, saying it would result in job cuts and lower wages. In Des Moines, union leaders say they’re leery of privatizing part of the airport. 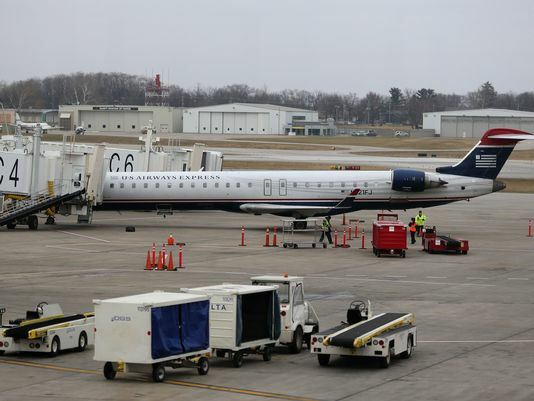 “It’s a pretty large concern,” said Tom Hayes, business manager of Laborers Local Union 353, which represents about 25 workers at the Des Moines International Airport. “If you start privatizing, then you start taking away the public” control. Foley said the airport has about a year before it will need to decide whether to pursue a public-private partnership or continue with the publicly funded terminal project as planned. The Kent State University trustees has approved keeping the university’s airport operating as a pilot-training facility with no changes to runway lengths or other assets. 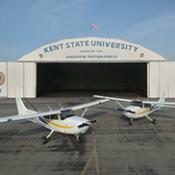 In 2004, the trustees voted to close Kent State’s airport. But the Federal Aviation Administration rejected that decision because the airport had accepted grants requiring it to remain in operation. Since then, the airport has become a highly respected flight-training facility. Aileen Maguire-Meyer of C and S Companies helped develop the new airport master plan. She says it is built around a growing need for new pilots and more flight training. “There’s a change in the aircraft being used as well as schedules. The majority of the pilots who are there today are reaching retirement age. There’s also changes to the FAA’s requirements for pilot training -- so in general, an increased need for pilots." There are more than 200 students in Kent State’s flight training program. The FAA must still approve the new master plan. Courting season continues for Tallahassee International Airport and JetBlue Airways. As of Tuesday, 40 support letters for direct service to South Florida were mailed to the New York-based airline, and by Wednesday, nearly 10 more were sent to the airport. Business leaders representing a cross section of industries drafted letters indicating their number of employees and how often they travel for work, along with personal horror travel stories. It’s clear leaders, not to mention residents, are indicating they want more service and the “Jet Blue effect,” which often occurs when the airline expands to a new market — causing a dramatic dip in fares, said TLH Aviation Director Chris Curry. Last year, cities like Jacksonville and Savannah, Georgia, got additional JetBlue flights. Campaigns are common, but how each city approaches its courtship of JetBlue can differ dramatically. Some flood the airline with correspondence and pleas for service. In addition to the letter writing campaign, the Greater Tallahassee Chamber of Commerce and Visit Tallahassee are committing funds for an incentive package, the details of which have not been disclosed. Whatever the offer, the decision is solely the airline’s. “We have a finite amount of planes, and we want to position them in locations where they can do the most good,” said Morgan Johnston, spokesman for JetBlue Airways. The Jet Blue effect won’t come easy or quickly. The process, including analysis, planning and execution, could take between eight months to three years, according to a JetBlue blog explaining its approach to expanding service. JetBlue carries more than 32 million passenger a year to 90 cities in the United States, Caribbean and Latin America. There is an average of 875 daily flights, the airline reports. The airline increased its Florida presence by adding more flights from Fort Lauderdale to Albany, N.Y., and Orlando. By January, service to Daytona Beach will be added. Tallahasee Mayor Andrew Gillum said the airline would be a “game changer” in Tallahassee. 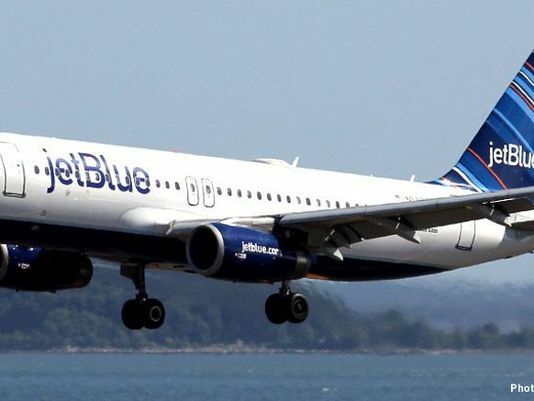 “This strong showing of community support should demonstrate to JetBlue that they can find a successful and profitable home here,” Gillum said of the letters. “As president of Florida State University, I am pleased to enthusiastically support the proposed service expansion of JetBlue Airways to Tallahassee International Airport (TLH), which would greatly facilitate the movement of students and faculty as they travel to and from the school.” — John Thrasher, former state representative and FSU president. “As president of one of the two major research universities located in the Tallahassee area, I strongly believe that the regional community would greatly benefit from, and support, JetBlue service... Our university’s travel related business needs would vastly improve with JetBlue Airways non-stop service through the Fort-Lauderdale-Hollywood International Airport.” Elmira Mangum, president of Florida A&M University. “My company spends on average 60 to 70 percent of our time traveling out of the Tallahassee International Airport. However, with the merger of U.S. Airways and American Airlines, the service out of TLH has been reduced while the cost of flying has skyrocketed. As a result, I am now traveling to Jacksonville, FL (2.5 hours away), Tampa (4 hours away), and Orlando (3.5 hours away) for flights.” — Jenny Harris Frasure, senior partner of Innovation Costing Solutions LLC, a governmental financial consulting firm. “Business needs your services. But there is also a hunger among those of us in this region who like to travel. 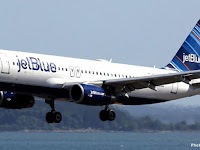 I am convinced JetBlue would be welcomed with open arms.” — Marjorie Turnbull, president of Turnbull Consulting and former county commissioner and state representative. “Read the article in the Democrat today! Tallahassee NEEDS more options for flights to South Florida. $400 is a ridiculous fee to fly. Our students would be off the road, and not to mention the seven-hour drive. Southwest Airlines would be a great addition, too.” Dorothy Fulcher Meigs, resident. 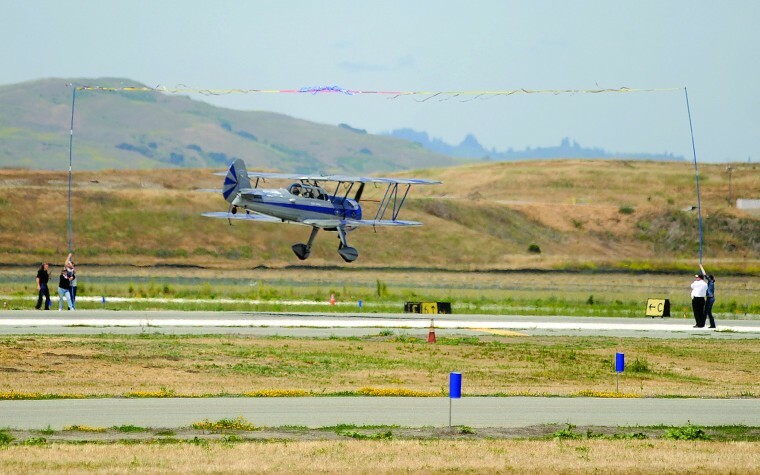 Congressman Sam Farr today announced a $5.8 million grant had been awarded as a second grant allocation toward fixing the Hollister Municipal Airport's runway. Farr's office made the announcement about the grant and noted how the work is expected to start after next February's Super Bowl in Santa Clara. It came after an announcement on a separate $3.1 million grant earlier this year to get the project off the ground. Rep. Sam Farr, D-Calif., announced today that Hollister Municipal Airport was awarded a $5.8 million FAA grant to continue repairs of the main runway. The airport began a major runway renovation project earlier this year and this grant will provide the funds necessary to finish the project. Last October, Rep. Farr joined with local officials to present the airport with a $3.1 million grant to begin the runway renovation project. Those funds were used to repave 2,400 feet of the runway. The new grant will be used to completely repave the remaining 6,250 foot main runway. Sections of the current runway date back to World War II. Due to the airport’s proximity to Pinnacles National Park, air traffic is expected to increase in the coming years as more visitors travel to the region. The airport also expects to see more flights this February during the Super Bowl held in nearby Santa Clara. The City of Hollister owns and operates the Hollister Municipal Airport and hosts a number of airport-related businesses. The airport is also the location of the CalFire Air Attack Base, which plays an important role in suppressing wildfire in six counties. Construction is expected to begin after the Super Bowl in February and should be completed in the summer. The grant will cover 90% of the construction cost for the new runway and the airport will provide the remaining amount. The crash-landing of a small plane on Carlsbad State Beach that injured a 12-year-old boy was most likely due to pilot error and an empty fuel tank, according to a report released by the National Transportation Safety Board. The Piper PA18, registered to Air Ads Inc., out of Gillespie Field in El Cajon, lost engine power while towing an advertising banner on the Fourth of July. It crashed on the crowded beach near Cannon Road, then flipped over by the waterline. According to the report, which includes factual findings and a probable cause determined by NTSB officials, the pilot of the single-engine plane, Luke William Kanagy, most likely failed to “manage the fuel system properly,” and the lack of fuel resulted in engine failure. Previous reports suggested that the engine malfunctioned during flight. Kanagy was not injured in the accident, but the plane struck Nicholas Baer, 12, who was on the beach at the time. Baer suffered a concussion, a sizable gash to his head and a damaged skull. He underwent emergency brain surgery at Rady Children’s Hospital in San Diego. Doctors later reported that the surgery was successful. The report, which was released last week, comes in the midst of a lawsuit, filed by Nicholas’ family in San Diego Superior Court, against Kanagy, the banner advertising company Air Ads, and its owner James Oakley. Attorney David S. Casey Jr., who is representing Nicholas’ family in the suit, said the final report helps prove that the boy’s injuries are directly due to Kanagy’s negligence. NTSB investigator Howard Plagens, whose analysis of the plane and crash site was used to compile the report, said the aircraft had two fuel tanks, one on the left and right. The plane was also equipped with a fuel selector valve, which allows the pilot to switch fuel tanks when one is running low during flight. Plagens said there was fuel in the right tank, but the plane’s selector valve was pointing to the left tank, which was empty. The Carlsbad crash is one of more than 25 accidents involving banner planes in California over the past two decades, based on a San Diego Union-Tribune review of Federal Aviation Administration and NTSB records in August. The cause of the California accidents vary. About a quarter were due to engine failure. More than half occurred while cruising or maneuvering the aircraft, records show, and 62 percent resulted in injury or death. Aviation experts say banner flying isn’t necessarily dangerous, but planes do fly at low altitudes — usually above crowded areas. Oakley, owner of Air Ads, said he could not comment on the accident or the report because of the pending lawsuit, but confirmed that Kanagy is no longer an employee with the company. According to the most recent FAA Airmen Certification Database, Kanagy is licensed to fly commercially and is a certified flight instructor of single-engine planes. Messages to Kanagy seeking comment went unanswered. The pilot stated that he was towing a banner along a beach when the engine gradually lost power, and applying carburetor heat had no effect. A forced landing was initiated on the beach, and during the landing roll the airplane struck a person before it nosed over into the surf. The engine mount, right wing, and right rear lift strut were substantially damaged. Postaccident examination on site revealed that the fuel selector valve was in the left tank position. A follow up examination determined that no fuel was visible in the left fuel tank site gauge inside the cockpit area. The right wing filler cap was removed, and fuel was observed in the right tank. Fuel drained from the sump at the rear of the right tank, but nothing drained from the sump at the rear of the left tank. No fuel drained from the gascolator on the firewall. The operator reported that there were no mechanical malfunctions or failures of the airframe or engine that would have precluded normal operation. The pilot's failure to manage the fuel system properly during a banner tow operation resulting in a loss of engine power due to fuel starvation. 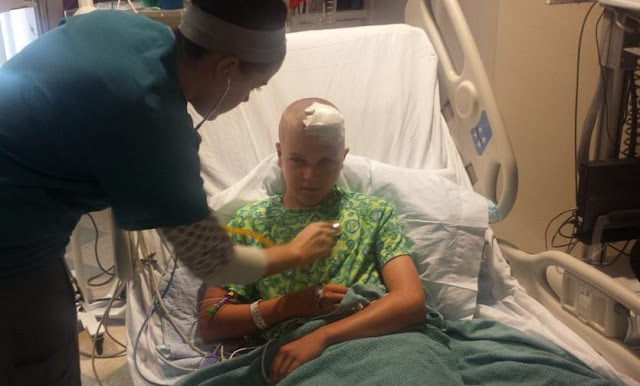 SAN DIEGO – The family of a 12-year-old boy who suffered a serious head injury when he was struck by a small plane on a Carlsbad Beach filed a lawsuit Wednesday against the plane’s owner and its pilot. The lawsuit in San Diego Superior Court was filed against El Cajon-based Air Ads Inc., company owner James Oakley and the 23-year-old pilot, James William Kanagy, according to a news release. 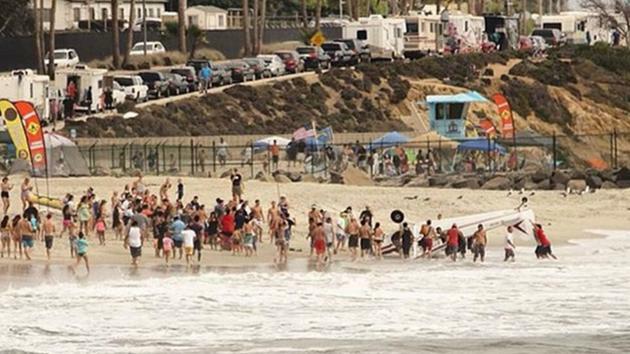 Nicholas Baer was struck by the small plane as it made an emergency landing on Carlsbad State Beach on the Fourth of July. Baer was bodyboarding with some friends when the Piper PA-18-150 Super Cub dove towards the crowded beach and crashed. The single-engine plane, towing an advertising banner, landed upside down in shallow water. The plane grazed Baer on the way down. "I was kind of transitioning to skim boarding, and then... I don't know, I guess the plane just came down," Baer said in an interview with ABC News last month. Baer was taken to Rady Children's Hospital for treatment of a gash to his head, a concussion and skull damage. He underwent surgery and was admitted to an intensive care unit. He spent only four days in the hospital. Physicians have said they expect Nicholas to make a full recovery. Kanagy was uninjured in the crash. 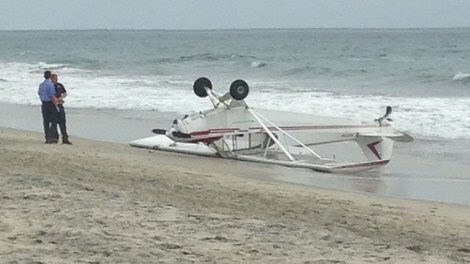 He told investigators the aircraft lost power for unknown reasons while towing an advertising banner over the coastline. The family’s attorney, David S. Casey Jr., alleges that the crash was caused by negligence on behalf of the pilot and owner. “It is simply reckless to land a plane on a crowded beach, even in the event of engine failure,” Casey said in the news release. Casey states that the pilot violated a federal code that requires the plane to keep a 500-foot distance from people on the ground. Nicholas Baer, 12, of Carlsbad. Nicholas Baer, 12, planned to spend his Fourth of July body boarding with friends at Carlsbad State Beach, but plans changed about an hour into the visit. There’s been a plane crash, a family friend told the boy’s mother on the phone. “I think he got hit in the head by the propeller,” the friend said. The aircraft was a Piper PA18 towing an advertising banner, and a federal report about the crash is expected this week. Meanwhile, U-T Watchdog decided to check and see how common such crashes are. Accidents involving “banner towing” are tracked by the Federal Aviation Administration and the National Transportation Safety Board. Records show that there have been 25 aircraft accidents involving such planes in California over the past two decades, and more than 62 percent resulted in injury or death. Four accidents occurred in San Diego, and eight in Los Angeles County. Aviation experts say banner flying isn't necessarily dangerous, but planes do fly at low elevations — usually above crowded areas — and the drag from towing a banner can put strain on the single-engine planes, which are typically used to fly advertisements. In May 2012, a Cessna 150 towing a banner crash landed in San Diego Bay because of a mechanical malfunction. No one was injured. Incident records show that advertisements in the air can also distract surrounding pilots. Following a 2003 incident near Pearland, Texas, a pilot admitted to NTSB investigators that he was distracted while landing by banner towing activity adjacent to the runway. The pilot landed at the edge of the grass runway and struck a ditch, causing substantial damage to the plane. Cities including Huntington Beach and San Francisco have attempted to ban aerial ads in recent years for safety reasons or aesthetic purposes, but dropped the efforts in fear of lawsuits or pressure from the FAA, which regulates all flight activity. The cause of other California accidents vary. About a quarter were due to engine failure, records show, and more than half occurred while cruising or maneuvering the aircraft. Air Ads owner Jim Oakley declined to comment on the crash or identify the man flying the aircraft, but said the pilot was licensed to fly commercially and had the required qualifications to tow banners. Oakley said his staff tends to be young, about 26 years old, since banner towing is a way for aspiring pilots to rack up flight time and advance to a career flying commercially. Ian Gregor, public affairs manager for the FAA Pacific division, said in an email that the agency requires all pilots or companies to meet certain standards before banner-towing flights can take place. An inspector will examine banner attaching devices or hitches to ensure that release cable mechanisms are functioning. All pilots must have successfully completed a banner towing training program, have a reliable record of past flight experience and be able to demonstrate a sample banner pickup to FAA inspector, Gregor said. 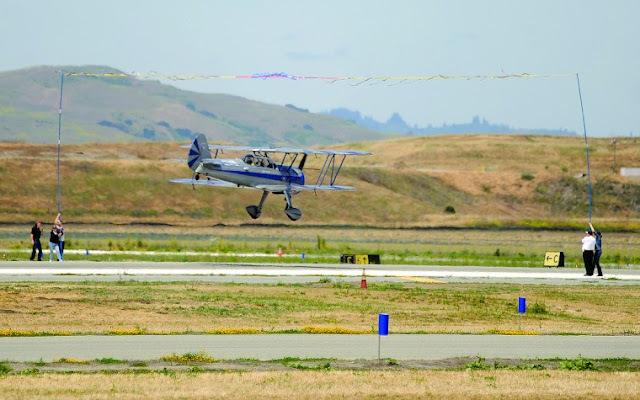 Planes usually take off without the banner, loop back around to the airport, and align the plane in between two poles, where the banner tow rope is suspended. If done correctly, Oakley said, a hook behind the plane will latch on to the rope and begin pulling the banner into the air. On December 31, 2006, a pilot at Gillespie Field missed the banner tow line, pitched upward and then went into a nose-down spiral. According to incident reports, witnesses said the plane spun more than one and a half times before colliding with the runway. The pilot was killed. In July 2013, a pilot was conducting a low fly-by for ground crew to inspect the banner. After the pass the plane began to climb and airspeed deteriorated. The airplane stalled, hit wires and crash-landed on a hillside in Long Beach. The pilot suffered minor injuries. Lee Anne Lardy, projects manager for San Diego County airports, said pilots or companies must be approved by the FAA and have proper insurance to receive a 10-year license with the county. Information pertaining to the license must also be updated each year. Two companies, Air Ads and Aerial Sign North Inc., are the only companies licensed with the county, Lardy said. The Watchdog used data collected from the NTSB and FAA and reviewed accidents categorized as banner tows under the purpose of flight. The review found 191 banner-related accidents between April 1995 and July of this year. Florida reported the most accidents at 51. California had the second most with 25, followed by New Jersey and South Carolina. 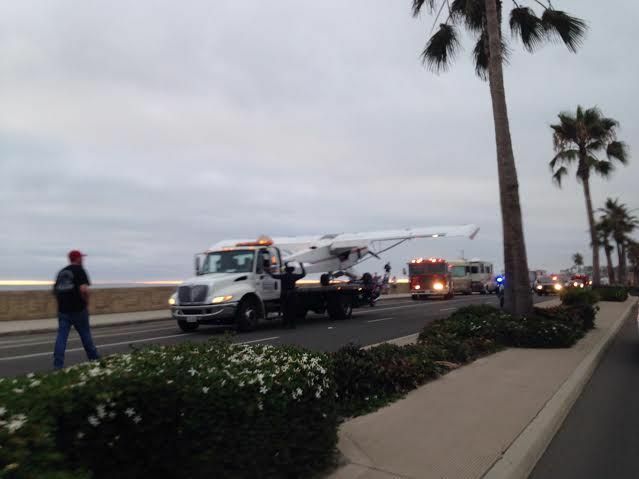 In the Carlsbad crash, officials at the scene reported that the single-engine plane lost power while towing a banner advertisement over the holiday crowd on the beach near Cannon Road. It was registered to Air Ads Inc. out of Gillespie Field. The pilot wasn’t hurt, but the boy suffered a concussion, a sizable gash to his head and a damaged skull. He underwent emergency brain surgery at Rady Children’s Hospital in San Diego. Doctors later reported that the surgery was successful and the boy is recovering well. 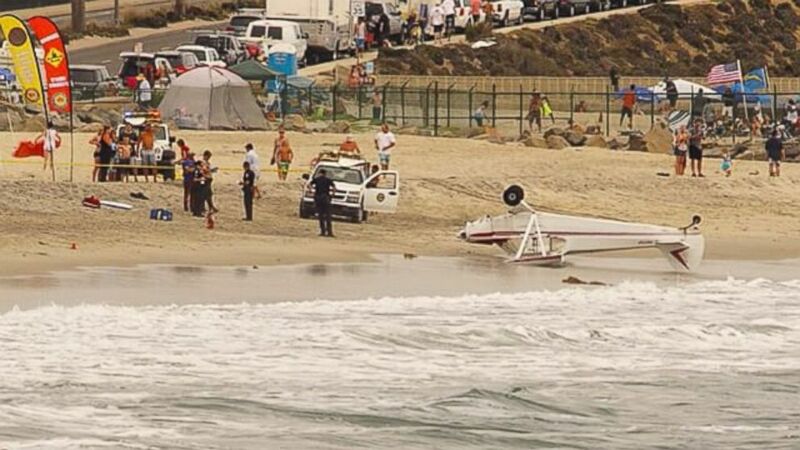 CARLSBAD (CBS 8) - Bob Griscom, an aviation expert and lifelong pilot who served 25 years as an aircraft accident investigator with the FAA, says if the pilot had decided to land in the water instead of the beach, he may not have survived. Bob says that unlike larger planes, the landing gears on smaller planes are not retractable. "When you hit the water, it’s as if the landing gear hit a brick wall, then the airplane will pitch forward," says Griscom. "The windshield will immediately get a face full of ocean and the pilot will very likely become unconscious very quickly and the airplane sinks and he drowns." Bob Griscom says the FAA and NTSB will now be investigating why the engine quit and they will be taking a closer look at the pilot, including his conduct the day before the flight. "They will also find out how much sleep the pilot had the day before and whether he was out partying, whatever it might be," says Griscom. "They will look into all of those factors."